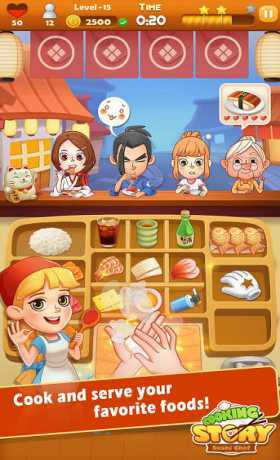 Cooking story Sushi Master uses healthy ingredients and delicious recipes to greet customers with a smiling face, in the game, you can run a number of sushi restaurants, learning a variety of traditional and innovative sushi dishes, to meet the needs of customers! Earn huge profits, buy more props to upgrade your kitchen, challenge more levels! 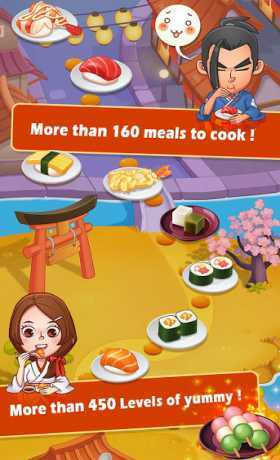 Rich variety of sushi dishes! – Learn new recipes to provide more rich dishes. – The warm service, to cater to the special tastes and needs of customers, so that every customer to satiate Guests feel at home. – Different regions, more than 160 new and interesting level, so you can not stop! – Upgrade restaurant, to create the ideal in the sushi restaurant! All kinds of props, to help you easily perfect pass, do not fall a star! 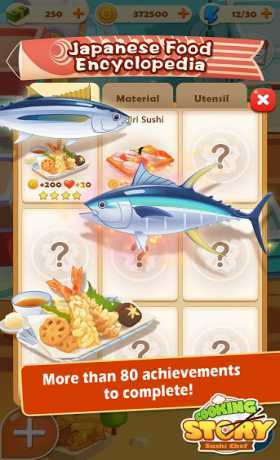 Quickly open your sushi restaurant, be a master of all kinds of sushi sushi bar!